Johnson is a British American economist who held a few academic and policy-related positions. He was Chief Economist of the International Monetary Funds from 2007 to 2008. 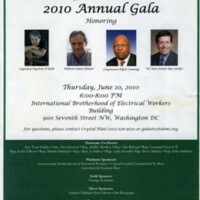 Cummings is a member of the Democratic Party and U.S. Representative for Maryland's 7th congressional district since 1996. Decker represented the 29th District in the Wisconsin Senate from 1991 to 2011 for the Democratic Party. 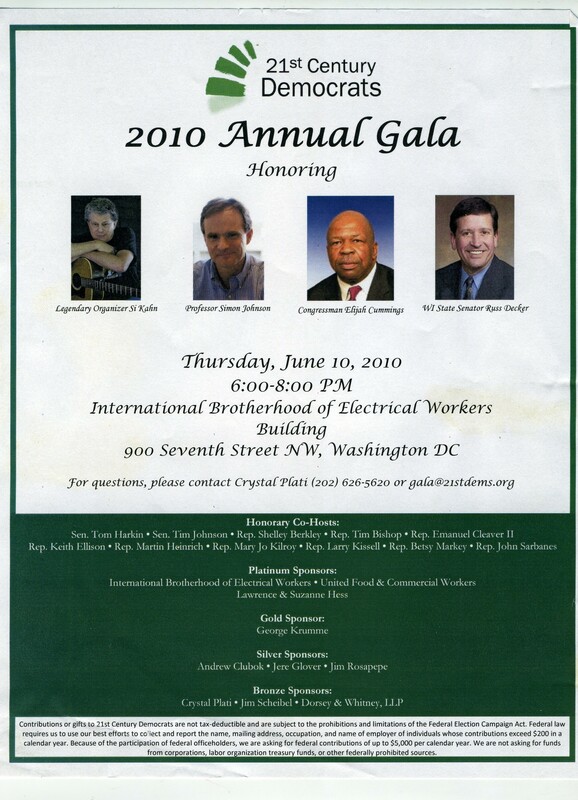 “Flyer for the 21st Century Democrats Annual Gala, 2010,” UIS History Harvest, accessed April 19, 2019, http://uishistharv1.uis.edu/items/show/102.